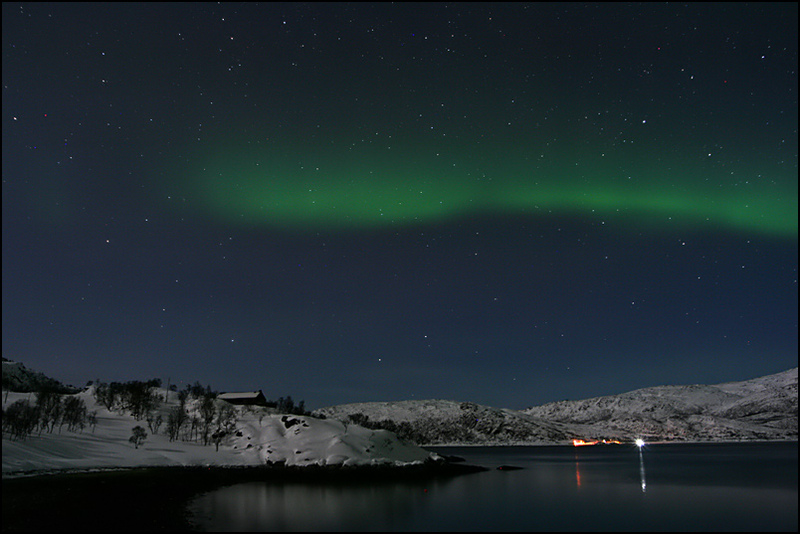 Last night the northern light forecast was really good, AND it was a perfectly clear night! So we decided to drive to Kvaløyvågen, a small village north of Tromsø from where we thought we’d have good views to the north without any city lights. It takes about 45 minutes to drive there, and we already saw the northern lights while driving. We drove to the end of the road, and continued on snowshoes. There were no lights there, but the moon was shining brightly – luckily to the south though! 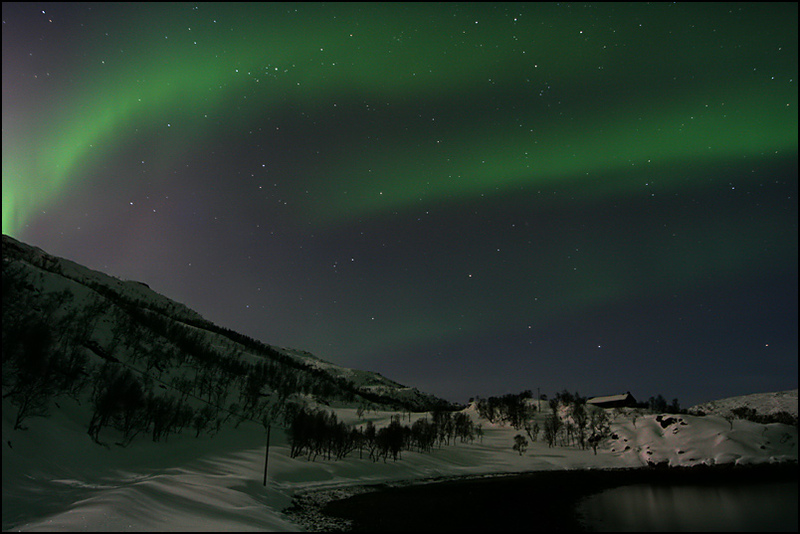 When we first got there, the northern lights were out, but very subtle. Below you can see the moonlit landscape… it was beautiful! 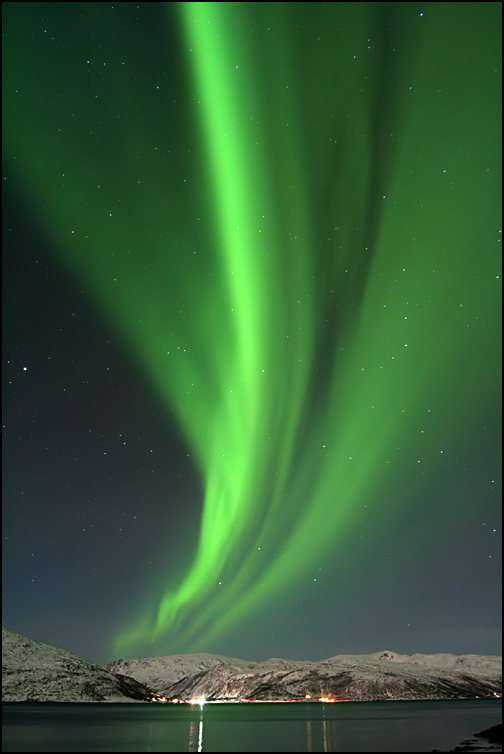 After a while, the aurora became more active and much brighter. It was so beautiful! 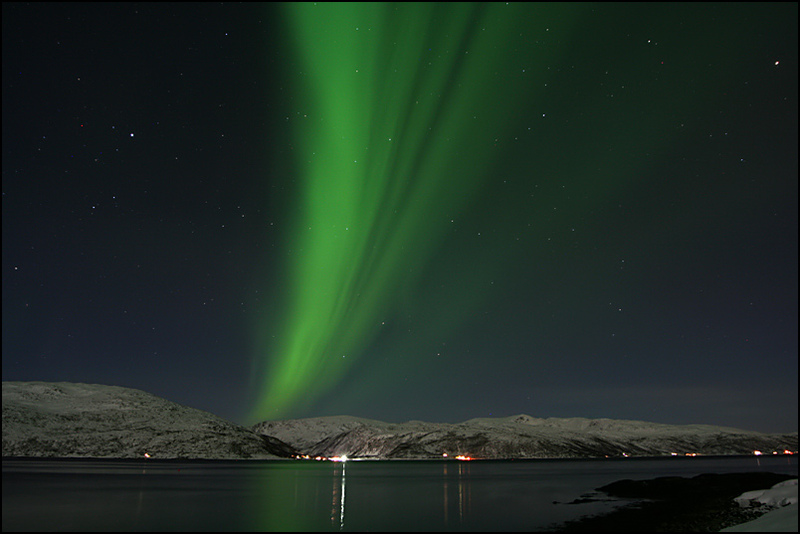 The views over the fjord were amazing, with the northern lights reflecting in the water. The circle in the second photo started out really big and quickly became smaller and smaller – a fantastic sight! We finally made it back home at half past 1 in the morning… very tired! More active northern lights are expected next week, so I hope we get another chance to go out and take photos! Here are the technical details for your friend: Taken on a Canon EOS 350D, ISO 400, f/5, 25-30 seconds exposures. thanks for the info.. he’s going to appreciate it … and guess what he’s 1/2 dutch 1/2 norwegian (well this doesn’t have anything to do with the previous text but I thought it was interesting)!!! I do believe something happened on that night HAHA. Anyway 😉 Say hello to your 1/2 Dutch, 1/2 Norwegian friend!! Absolutely STUNNING!! I am so jealous. It’s 2am here in AK, and I’ve been looking outside every hour hoping for a display. No luck yet. How wonderful for you! You got amazing shots! 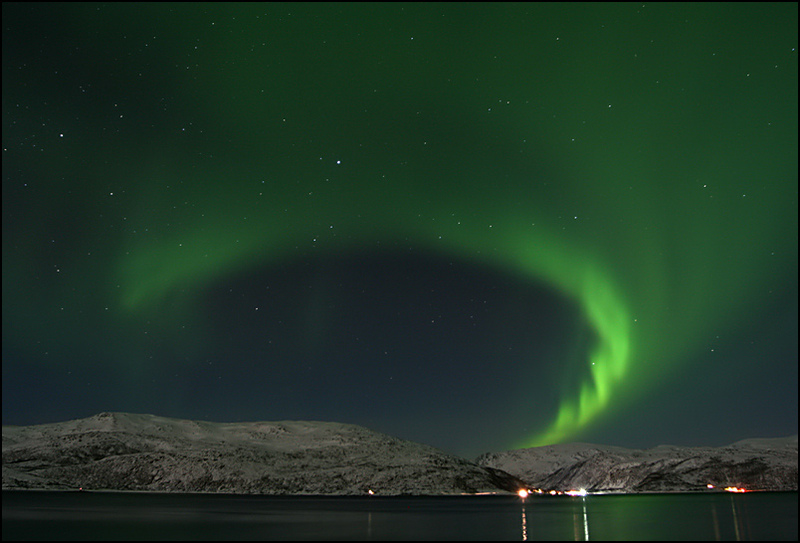 For some weeks I didn’t watched your blog, but now I see the most amazing pictures of the northern light. You made my day already this morning with your pictures!!! @Susan: thanks a lot 🙂 Let’s hope for an amazing display in Fairbanks next week!! @Aline – I am glad my photos made your day 🙂 Hope to get some more next week! Have a good weekend! !